Today marks one year of our friend Lori’s transition. In so many ways it seems like just yesterday. It’s one of those days that most likely will remain crystallized in my thoughts for numerous reasons. I’ve been thinking about Lori and this day for awhile. The weight of a year and all that did — and did not — transpire. And now that it is here and coming to a close, I feel the need to once again to express gratitude for knowing her. Larry and the boys shared some beautiful posts with pictures. Oh, that smile! Warm… a bit mischievous… so authentic. So knowing. Admit — I shed a few tears today at lunch as I took them all in. I miss bumping into Lori on our street. Sometimes I get the sense that she’s up the way, walking the dog. But then I remember and pause. I let the myriad of feelings — including guilt and gratitude — swirl for a bit. That’s an emo cocktail I’m sure to carry for quite some time. Perhaps it was a coincidence that I received a letter from Hoxworth the other day letting me know it had been eight weeks since my last donation. They also let me know that there was a national shortage of blood. How was I to say no? I could have chosen any day to do this, but I wanted it to be today. Today felt right to give someone who doesn’t know me — and doesn’t need to know me — a gift. The gift of hope. The gift of life. The gift of a second (or third or fourth) chance. 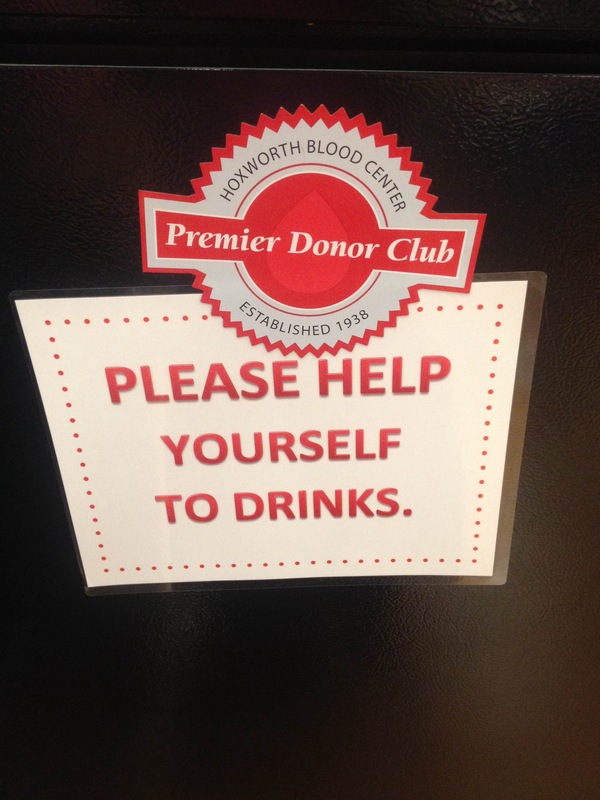 I’m still in awe of the true machine that is Hoxworth Blood Center and the incredible, warm, gracious people who work there. The whirling of the platelet collection device still gives me a jolt. It reminds me how essential donations are. Smile, Lori. Your star still shines bright.